It is very common for our customers to consistently achieve 2000 cycles with very low cake moisture content. Additionally, many companies may be able to eliminate a wash cycle to meet production targets. We have a proven track record of helping our customers improve operating efficiency and reduce costs. Contact us to learn more about our wide range of filtration solutions for mining and mineral processing, including special filter cloth materials tailored to mining applications, Micronics’ high-capacity, fully automatic filter presses, semi-automatic presses, and the LASTA MC by Ishigaki. 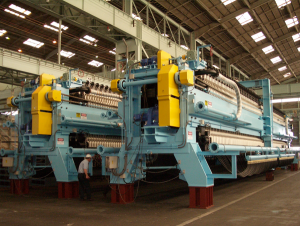 Interested in High-Quality Mining Filter Press Cloth Solutions?